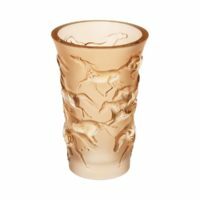 Lalique Mustang Vase This exquisite handcrafted lead crystal vase gets its golden hue from real gold added to the crystal gather. 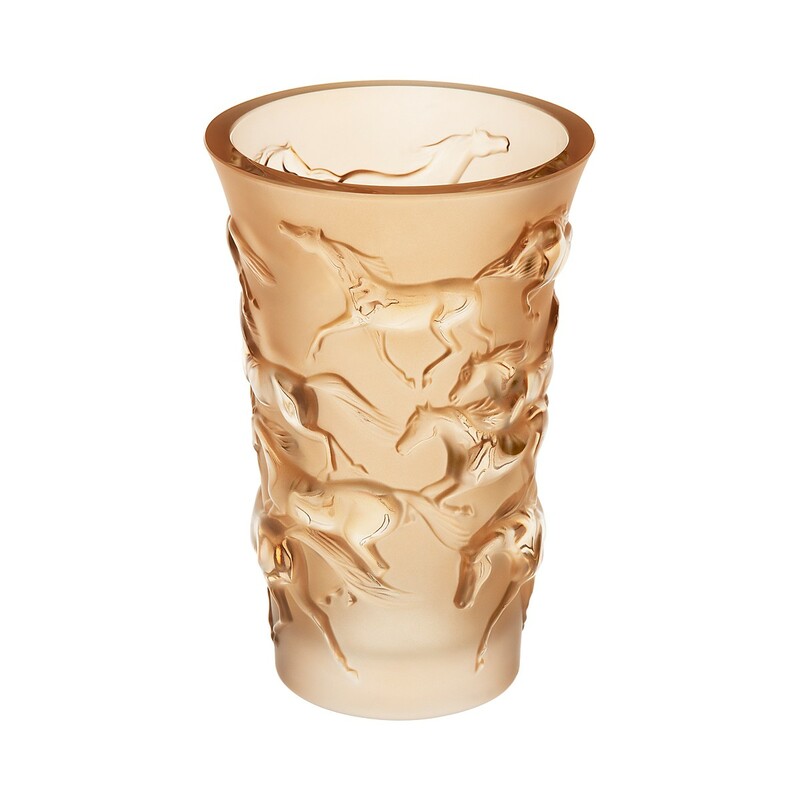 A rare and hard to find piece from Lalique’s Paysage d’Hiver Collection. Donated to Heart of the Horse by Steven Goldfarb of Alan Goldfarb Jeweler.